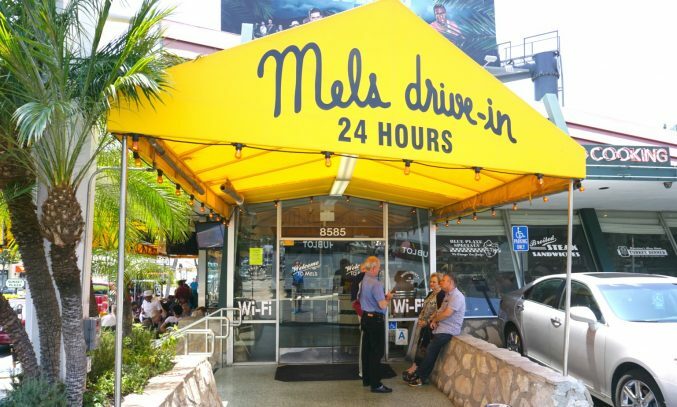 Mel’s Drive-in is open 24 hours a day, 365 days a year! It welcomes the late-nighters after an evening on the Sunset Strip or other clubs around the city as well as the brunch crowd, and other diners throughout the day and night. All types of people come to Mel’s Drive-in, making it a fun place to people watch. Sit at a table outside in front of the diner on Sunset Boulevard or inside at a table or booth. 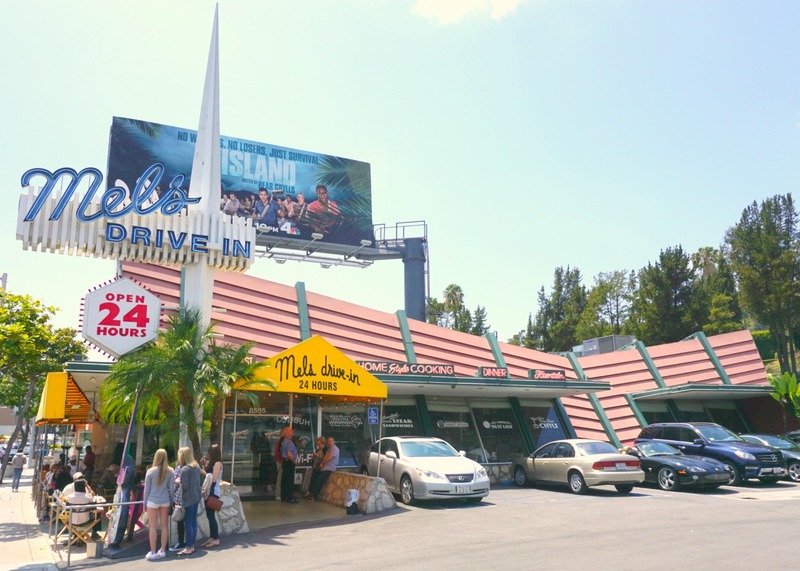 Mels Drive-In screams out diner from the 1950s with a varied menu, tasty food, attentive service and fair prices. The menu at Mel’s Drive-in features treats for everyone. They have milkshakes as well as fresh-squeezed juices that can compete with any healthy juice bar. I enjoyed the “root juice” a delicious blend of ginger, lemon, apple and beets! The perfect drink to get you started in the morning and before you begin your brunch choices. Mel’s Drive-in offers all the classic items for breakfast, such as pancakes, eggs, and French toast, while having burgers and other diner treats during the rest of the day. I was however very pleasantly surprised that Mel’s Drive-in has several healthy choices on its menu, including several salads and a few vegan options. I feasted on the veggie burger with sprouts and added a side of avocado as well as sweet potato fries. Having tried sweet potato fries at three restaurants this week (what I have to do for research for this blog! ), Mel’s sweet potato fries were surely the best. The true taste of sweet potato came with each bite, without excess oil or salt. The decor at Mel’s Drive-in is definitely a testament to the 1950s, which is a treat for all. Many of the food choices also remind us of another era. However, the range of choices on the menu and the “healthier” way the food is prepared is surely in sync with today’s clientele. Everyone can find a dish they will enjoy at Mel’s Drive-in. Thank goodness it’s open all day long so you can visit this quality diner whenever you want!